Meanwhile, in a Dutch oven, cook fettuccine according to package directions. Drain; return to pan. Add onion to drippings in skillet; cook and stir over medium heat 2-3 minutes or until tender. Add garlic; cook 1 minute longer. Reduce heat to medium-low. Stir in cream. In a small bowl, whisk a small amount of warm cream into eggs; return all to pan, whisking constantly. Cook 8-10 minutes or until a thermometer reads 160°, stirring constantly. Stir cheese, salt, pepper and bacon into sauce. 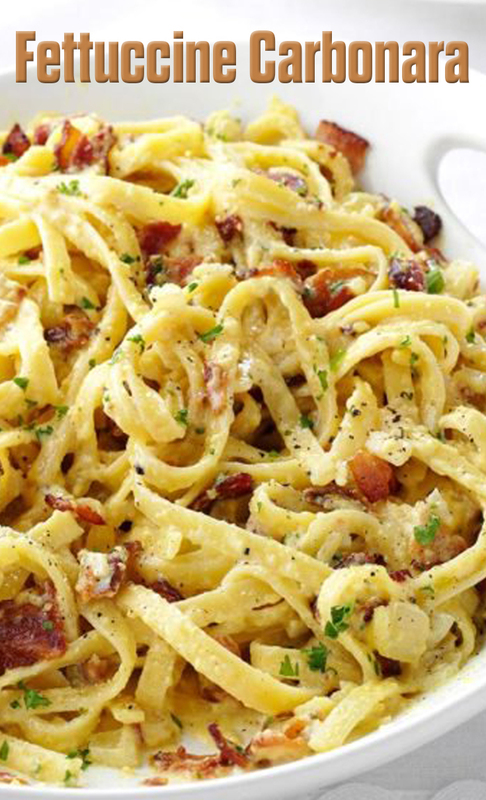 Add to fettuccine and toss to combine. Sprinkle with parsley and, if desired, additional cheese. Serve immediately.